Communicate with students and staff utilizing the email and other communication facilities. Students' records can be retrieved using various search criteria. The results of the search can then be presented in any or all of four dynamic report types. 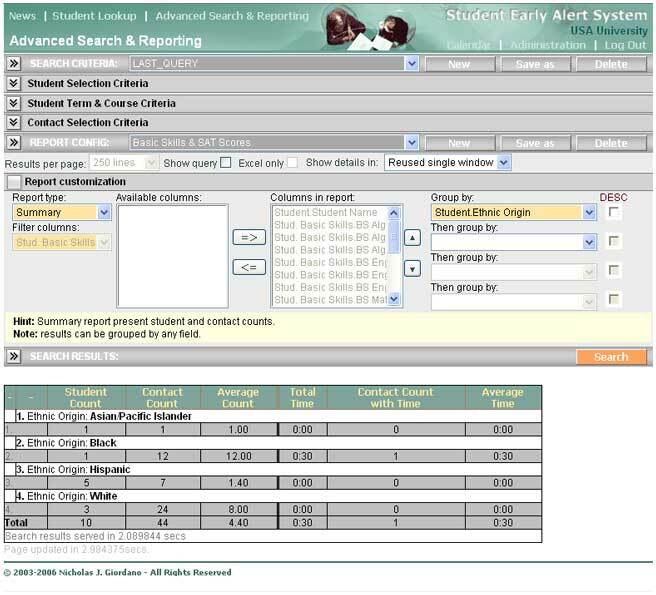 The reports can be utilized in the following capacities: viewed within SEAS, exported to Excel, to create a mail merge, to create an email list, to set reminders in the Calendar Facility, printed as a hardcopy via a printer and as a selection list to view student contacts.